How much does it cost to swim with dolphins in Cancun? Which is the best month to get married in Cancun? What makes our dolphins the healthiest? Are you traveling solo? 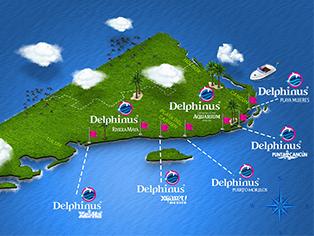 Discover the perfect swim with dolphins for you! Why should you swim with dolphins in a certified habitat? Discover a completely natural habitat for swimming with dolphins in Cancun! Xcaret vs Xel-Há: which park is better? Travel guide: what to do on a quick trip to Cancun? Find some packages to Cancun for this summer! Choose a swim with dolphins and get a 30 percent discount! Swim with dolphins: the best experience for kids! What to do in Cancun during Easter week? Welcome Spring: pack your bags to Cancun! Discover the secret beaches of the Mexican Caribbean! What to do in Cancun during the weekend? Read this before you swim with dolphins in Cancun! What to do during your next holidays in the Riviera Maya? What to do in Xel-ha? Enjoy it to the fullest! Xel-há, what makes it a unique park? Where to go shopping during your holidays in Cancun? A perfect swimming with dolphins experience for kids! Which are the world’s best aquatic parks?